Turn off your Christmas lights in solidarity with people who are without a home and facing their darkest hour. On Monday 21st of December at 8pm, the Simon Community are calling on people to switch off their Christmas lights for just one hour, as a mark of solidarity with those who are without a home and in their darkest hour of need. Ireland is currently in the middle of a housing and homeless crisis with thousands of people, families and children facing into Christmas without a home. Currently 3,428 people, 738 families and 1,571 children are homeless in Ireland, and the Simon Community are here to make sure the light never goes out on them. The Simon Community are calling on the public to share a short 10-15 second video of them turning off their Christmas tree lights on the longest night of the year, December 21st, on social media using the hashtag #SimonDarkestHour. A television advertisement for the Darkest Hour campaign will be broadcast on Irish stations from Monday 14th December. The advert features recent Grammy Award nominee Glen Hansard performing his song ‘Stay the Road’. The aim of our Christmas campaign is to reassure people that the Simon Community are there to help thousands of vulnerable people in their darkest hour, and with your support we will continue to be there for every person turning to us for help and relying on us each day. The Christmas campaign demonstrates that for thousands of vulnerable people enduring their darkest hour, Simon is a light that never goes out. 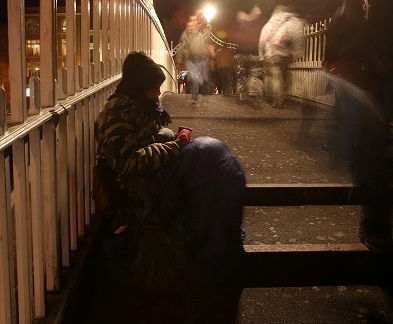 The homeless charity are asking people to keep the lights on by giving them the power to help at simon.ie.